State implementation of the federal Resource Conservation and Recovery Act (RCRA) is not happening as Congress intended, according to a July 2018 report by the EPA’s Office of Inspector General (OIG). What Are the Reporting Requirements for HSMs After the Initial Notification? Q. I manage our filter cake waste as a hazardous secondary material (HSM) and notified the EPA and state environmental protection agency before managing the waste as a HSM. Are there any other reporting requirements after the initial notification? In a final rule promulgated without a prior proposal, the EPA is revising regulations associated with the definition of solid waste under the Resource Conservation and Recovery Act (RCRA). The revisions apply specifically to rules the Agency issued in 2008 and 2015, which addressed the conditions under which hazardous secondary materials (HSMs) are legitimately recycled. 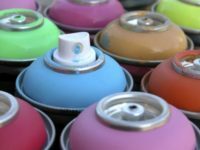 In its 2017 Update of its Regulatory Agenda, the EPA states that it is considering a proposal to add hazardous waste aerosol cans to those universal wastes regulated under 40 CFR 273.